Applications that will feature our technology are available for download on standard app stores such as Google Play and whilst our technology can literally be used for any kind of object our first applications focus on game and toy based objects. By using standard game development techniques to promote virality, creativity & loyalty we can generate global revenue via well established paid and freemium model revenue streams. Each new object application we release with our technology increases our catalogue and leads to predictable growth that can be easily scaled. 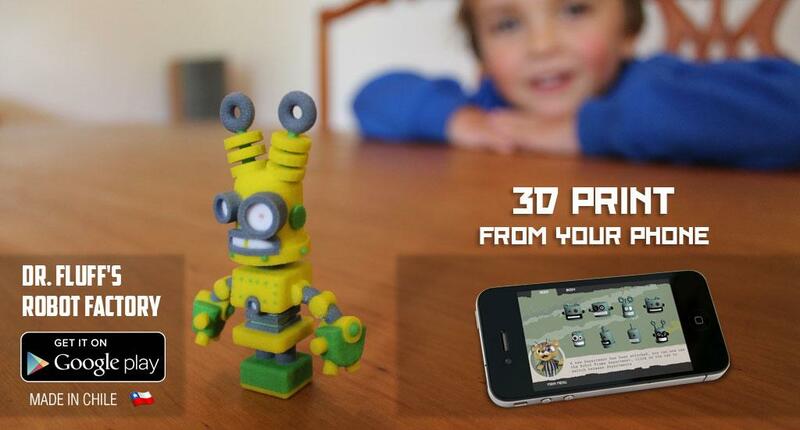 Dr. Fluff’s Robot Factory allows anyone to build their own unique robot using just two simple touch gestures on their mobile phone or tablet. You don’t even need a printer, simply press “print” and your toy arrives in the post in the material of your choice: plastic, rubber, ceramic, even silver and gold.